I am always on the hunt for new ways to use my slow cooker as most nights are busy around here. 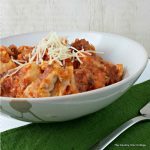 This slow cooker ravioli with meat sauce recipe is one way to serve up a great supper in a hurry. 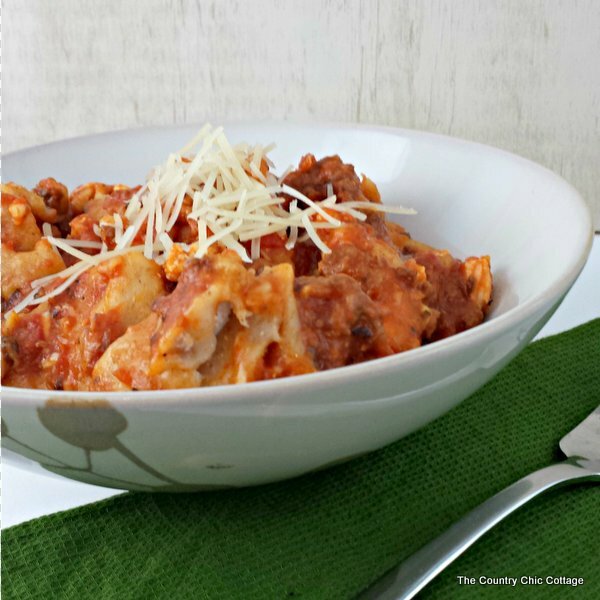 Homemade meat sauce meet frozen ravioli to make this one quick but absolutely delicious. Add the olive oil to a large skillet over medium heat. Add the onions and peppers and cook until tender. Add the minced garlic into the pan. Cook for 1 minute, taking care not to burn the garlic. Add the hamburg and season with salt and pepper. Brown the meat, stirring constantly. Drain off the excess grease. To the skillet, add the tomato sauce and reduce the heat. Stir in the dried basil, ricotta and Parmesan cheeses. Simmer the sauce for 20-30 minutes. Cover the bottom of the slow cooker with about 2 cups of the meat sauce. Add a layer of ravioli, cover with a bit more sauce, then add a sprinkle of the mozzarella cheese. Repeat until the slow cooker is full. Cook on low for 4-6 hours. Top with Parmesan cheese for serving. 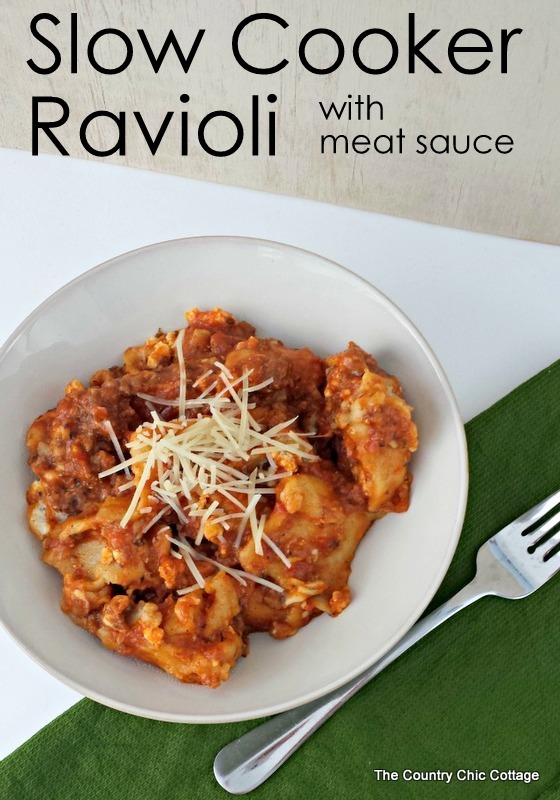 Y’all enjoy this slow cooker ravioli with meat sauce with your family. I love it when I get home and a hot meal comes right out of the crock pot — don’t you?